On Hennepin Avenue in Minneapolis, the Broadway tour of Something Rotten! is celebrating the "must see magical new original musical" with a wonderfully ridiculous imagining of the genre's beginnings. A few miles away in Northeast Minneapolis, Theater Latte Da is dedicated to continuing the growth of the musical into the future. Several years ago they committed to developing 20 new musicals by the year 2020 (which is almost upon us). Their latest entry into this project opens this weekend, with the "must see magical new original musical" Five Points, written by #TCTheater's current "it" playwright Harrison David Rivers (his charming immigrant story Crack in the Sky opened at History Theatre last month, and Penumbra will produce his love story This Bitter Earth later this month), with music by NYC-based Ethan D. Pakchar and Douglas Lyons and lyrics by the latter. 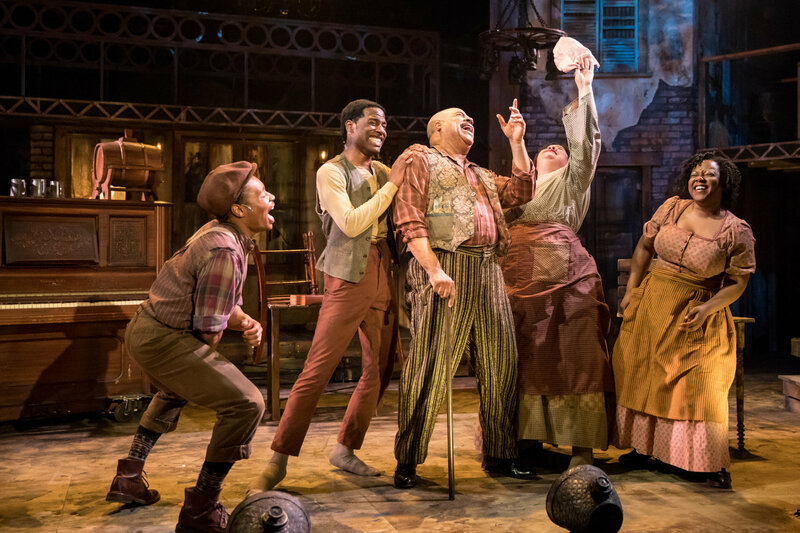 It's an ambitious story set in Manhattan's Lower East Side in 1863, dealing with themes of immigration, racial tension, war, poverty, and of course, dancing. As always Latte Da has put together a top-notch creative team to bring this story to life, and the result is an exciting musical that's traditional in structure, gorgeously designed, fantastically performed, with many thrilling moments of dance. Five Points revolves around historical figures, but the story and other characters are fictional, and the time period changed. African American William Lane, known as Master Juba, and Irish American John Diamond performed in minstrel shows (the latter often in blackface) and both worked for P.T. Barnum at different times. They competed in a series of dance battles in the 1840s in Five Points, which Wikipedia calls a "densely populated, disease-ridden, crime-infested slum." If anything is crying out to be made into a musical, it's the concept of "dance battles;" perhaps less so "disease-ridden slum." The creators dropped the minstrel show bit (and the disease), and moved the story to the middle of the Civil War (even though both dancers were dead by then), to be able to tell a larger story of the culture clash and co-mingling happening in the Lower East Side, which has seen and continues to see waves of immigrants from different parts of the world come through and make their mark on NYC, and on America (which gives me another chance to recommend a visit to the Tenement Museum next time you're in NYC, especially the outdoor walking tours). Theater Latte Da always has the most beautiful playbills with the best dramaturgical information in them. 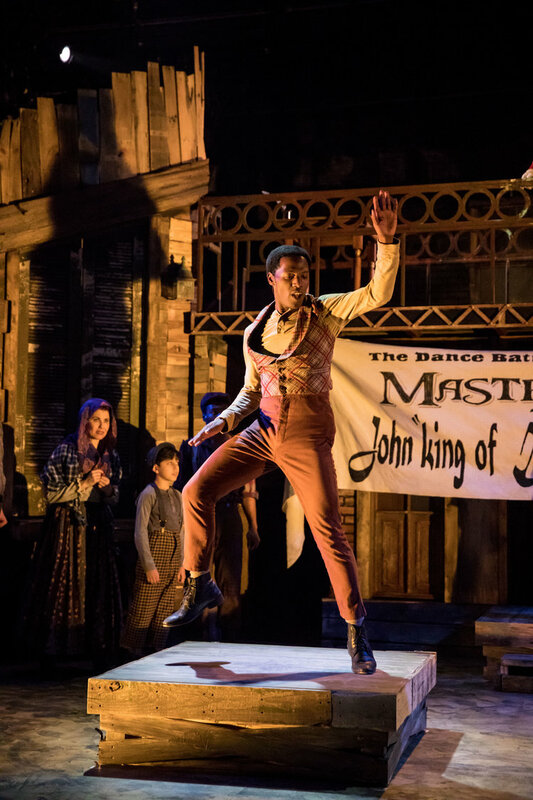 For this show, articles include "The Legend of Five Points," "Historical Figures," "African Americans in the Union Army," and "The Roots of Tap Dance." Maybe I'm a nerd (OK, I am), but I find this sort of information fascinating and so helpful in putting the show in context. The writers of the musical have created families and back stories for both men, about whom not a lot is known. 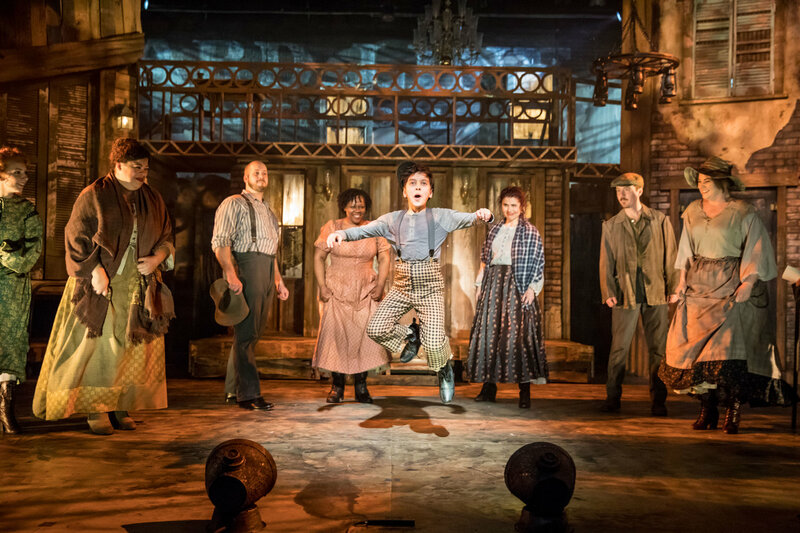 Here, our young Willie lives with his father and sister, and the family runs Almack's Dance Hall, which Willie's father has just about saved up enough money to buy. Willie's father does not approve of Willie working for Mr. Barnum, warning his son that a white man always wants something in return. John is a single father grieving the death of his wife a few years prior, for which he blames himself because he was away from home so much. He hasn't danced since his wife's death, and spends most of his time working at the docks and moping around McManus' Pub, where his friends urge him to move on. His son Junior secretly goes to Almack's to watch Willie dance, which does not please his father when he finds out, but the women of the two families form a bond after a night of racial violence puts them all in danger. When John needs money to buy his way out of the draft, he agrees to battle Willie in a dance-off, who in turn wants the money to help his dad buy the dance hall. The dance battle is the much anticipated long awaited for highlight of the show, the results of which determine the course of each man's life. The aforementioned top-notch creative team includes Theater Latte Da co-founders director Peter Rothstein and music director Denise Prosek, a match made in heaven. Denise leads an off-stage five-piece band playing Pakchar and Lyons' catchy, moving, interesting score that sounds both period and modern musical theater. 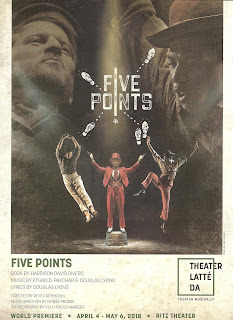 The theme "Five Points" is repeated throughout the play, bringing us back to the center. "Raise Your Glass" is a rousing chorus of a party song, alternating between the Irish and African American cultures, celebrating them both and their common love of dance. "Without You" is John Diamond's gut-wrenching song of grief, and "Fare Thee Well" is a lovely Irish ballad of a song. I wish there were a cast recording so I could give it all another listen (or 20). This 14-person cast is so chock full of talent that it's inevitable to wish for more stage time for many of them. But most of them do have a moment or two to shine, including beloved #TCTheater veteran T. Mychael Rambo with a powerful lament and cry for respect in "More Than;" Ann Michels leading the aforementioned lovely ballad "Fare Thee Well;" Kendall Anne Thompson, once again making me cry with her beautifully expressive voice as John's wife in flashbacks; young scene stealer Alejandro Vega as Junior, going toe to toe (literally) with the grown-ups and more than holding his own; and too many others to mention. Fresh off of playing the ring-leader of the wild circus that was Theater Latte Da's recent production of Assassins, Dieter Bierbrauer plays the leader of an actual circus, P.T. Barnum, with a strong voice and strong presence. But the stars of this show are the two actors playing the dancers, and I can think of none better. It's about time someone cast Lamar Jefferson as the lead in a musical, he's been shining from the sidelines for several years. 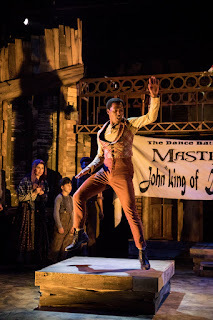 He's a natural star and puts all of that charisma into his portrayal of Willie Lane, with oodles of energy that comes out in his dancing through the very tips of his toes. Ben Bakken, a favorite of mine since I saw him in Altar Boys many years ago at Chanhassen Dinner Theatres, is just fantastic as John Diamond, full of unplaced grief and anger. When Ben lifts that voice of his it's like it comes from the depths of his soul, and I feel every word. In my eyes that final dance battle is a draw, as both men are not only great singers and actors, but also spectacular dancers. Which brings me to the true star of the show - the dancing! When the entire focus of the show is on a "dance battle," the choreography has to live up that hype, and Kelli Foster Warder does not disappoint. I don't know how much is historical research and how much is invention, but she's managed to create something that features both Irish step dancing and African American early tap dancing, and that also feels entirely fresh and new. And this intricate and specific choreography is executed with precision by this talented ensemble. If anything I wanted more dancing! 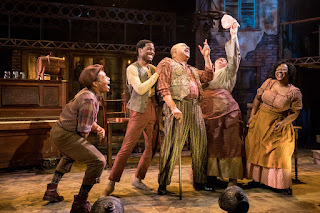 I've already written too many words, but just a few more on the very Sassian set that's shabby chic, multi-leveled, very versatile, and blends seamlessly with the walls of the theater (that's Joel Sass, obvs); Trevor Bowen's period costumes that range from P.T. 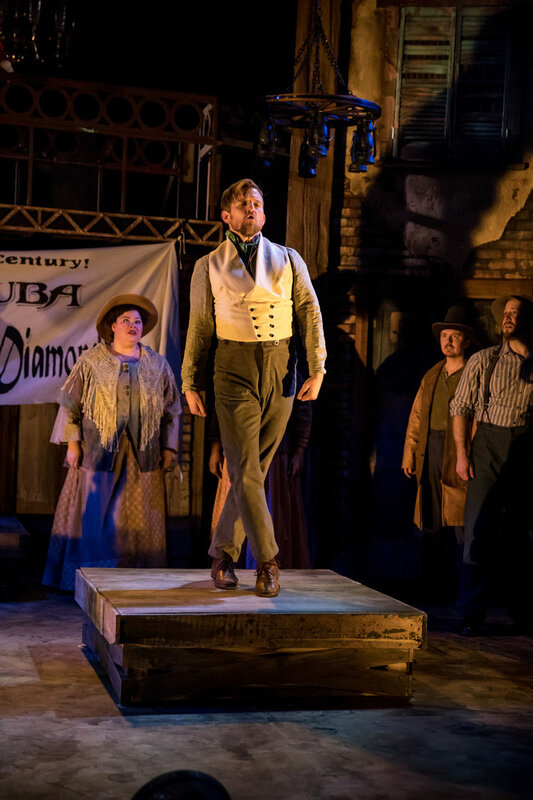 Barnum's rich velvet jacket to the plain clothes of the common people; the dramatic lighting by Mary Shabatura; and last but definitely not least, all the gorgeously melodic Irish brogues coming off that stage thanks to dialect coach Keely Wolter (oh how I love a proper Irish brogue!). While Something Rotten! closes today, you have plenty of time to see this "must see magical new original musical" created right here in Minnesota, showcasing the talent of our #TCTheater artists. Head to the Ritz Theater in Northeast Minneapolis through May 6 to experience the exciting and brand new musical Five Points.